posBoss subscription that has the Control add on, and an iPad. A Square Point of Sale account. Sign up to accept card payments with Square and posBoss and get your first $500 of sales processed fee-free! The Square Point of Sale app downloaded onto your iPad and logged in. Square contactless + chip reader the is paired to your iPad using bluetooth. Setup Instructions. posBoss does not yet support multiple sites. If you have multiple sites with Square we only connect to the first site in your list. Receipts. You have the option to use receipts in either posBoss or Square. To configure receipts in Square - Configure Square Receipts. To turn off Square receipts - Skip Receipt. Once Activates, head to the posBoss iPad till app, go to Settings and press the Sync Menu button. Once synced, close and restart the posBoss iPad till app and reopen it. Head to the settings again and you will see the Eftpos button. 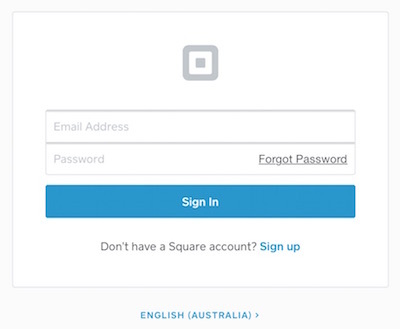 Press Eftpos and then press the Connect button next to the Square logo. At this point, you'll be taken through to the Square website to link Square with posBoss. 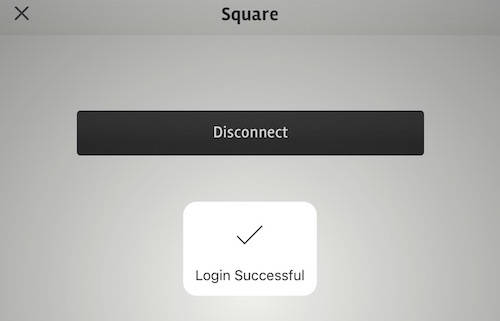 Log in with the same Square account details as you logged into the Square app with. After login you will see this page, followed by a pop-up. accept Press Open to complete the linking process. You may see this pop-up a couple more times as the apps first connect a payment. Press Open when prompted. You will also be asked to allow posBoss permission to the Square app. Press Allow when prompted. 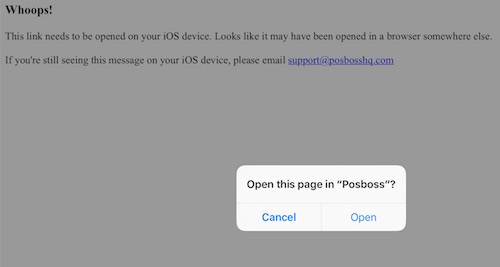 The posBoss iPad till app will reopen at the eftpos page and you will see a success message. Press the X at the top right to close the window and get started with taking payments!